Largely associated with the United States’ southern region, the Mint Julep is a frosty bourbon-based alcoholic beverage that mixes shaved ice, sugar, and mint to create a refreshing treat often found in the hands of the bright color and large hat-wearing Kentucky Derby attendants. 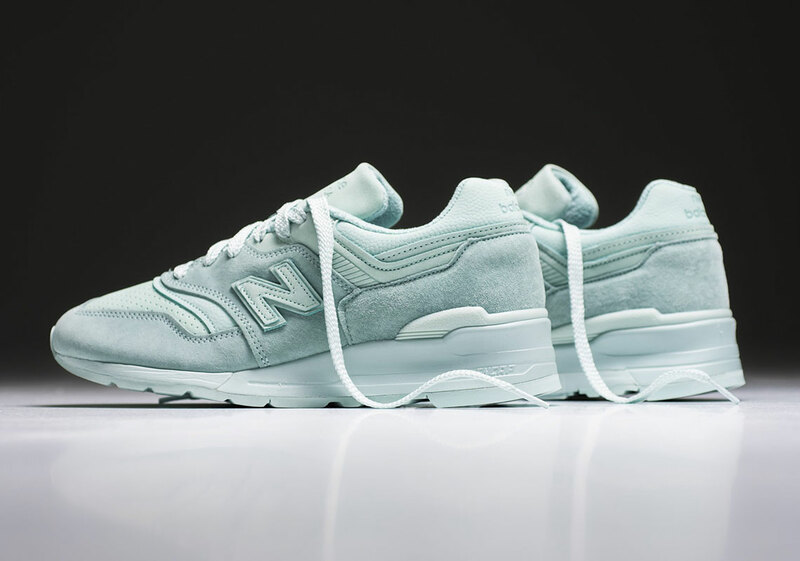 Now, the adult beverage is responsible for the color scheme of the next New Balance 997 colorway that comes adorned in a Mint Julep color scheme all throughout its body. Of course, it wouldn’t be a 997 if it wasn’t decked out in premium textiles, as this N-brand iteration boasts buttery suede and leather all throughout its Made In USA upper. Pairs are currently available at select NB houses, so grab a detailed look ahead and tell us if you’ll be adding them to your spring rotation.